Here is my deal with Foreigner. I am not a huge fan. However they have like 5 songs that every body loves and will cause all involved to rock out. They are like a poor man’s Journey. However, when they come to town for $45.00 at the Taft, I am in. If nothing else but for a good time. In this case, the original plan was to go in January, but Foreigner had to reschedule. Ahhh, the complicated life of rock stars. A brief history of Foreigner. For the past couple of years, the only original member of the band has been Mick Jones. Everyone else has been replaced. The bass player is now Jeff Pilson, formally from Dokken. The lead singer is as close to a Lou Gramm doppleganger as you can get, Kelly Hansen. For a long time they had Jason Bonham playing drums for a few tours. Without getting philosophical, the question needs to be asked: When is a band no longer the band? Does having one original member, even if that member is the founder, still make the band, the band? This enigma was forced upon me last night, when I saw Foreigner without any original members. Mick Jones did not show up. He is sick or something. So who did I see? I can tell you what I heard. I heard a band doing Foreigner tunes and rocking them. I saw a front man keeping the crowd engaged and entertaining them. I was part of that very crowd that was energized and singing right along. It was a good time. 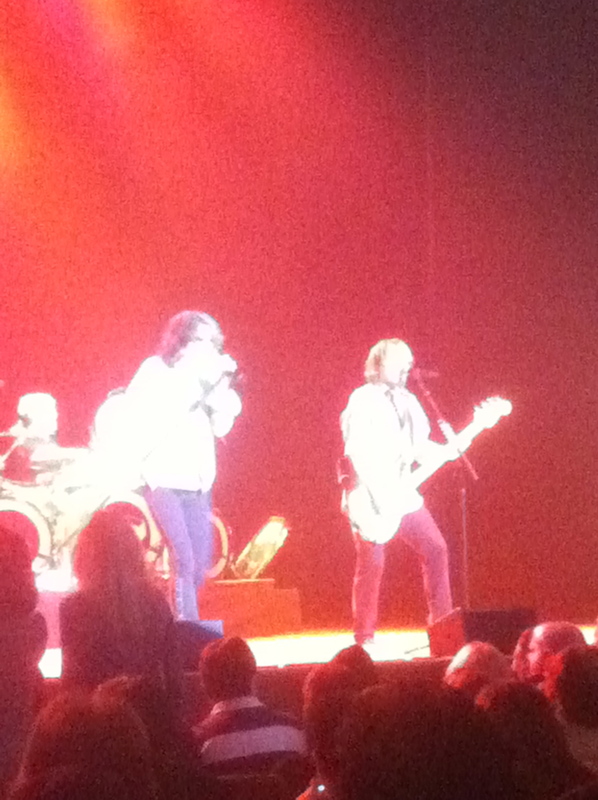 It seemed like I was seeing Foreigner….but I part of me keeps me from saying I did. Dokken is one of my favorite bands. Their bass player now sings back up and plays for Foreigner. Who is to say I didnt see Dokken last night? (other than the venue, ticket and every things else was in front of me). So help me…who did I see last night?